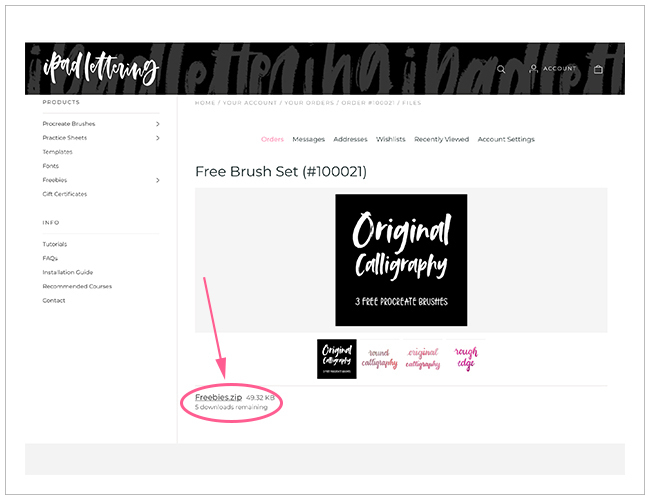 How do I install Procreate brushes directly on my iPad? 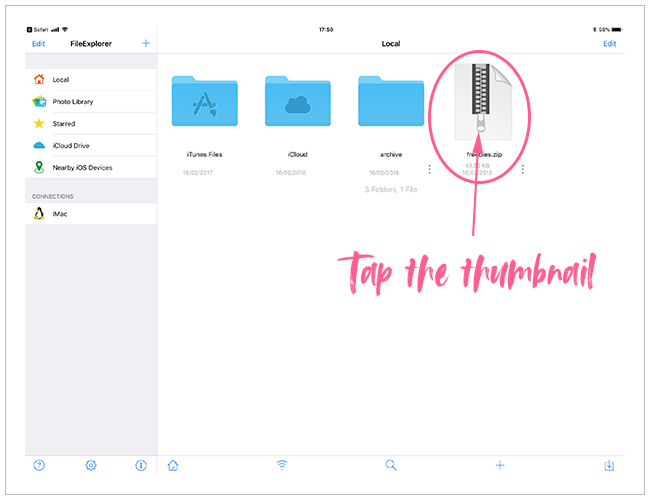 You can load them directly from your iPad, here are the step-by-step instructions. 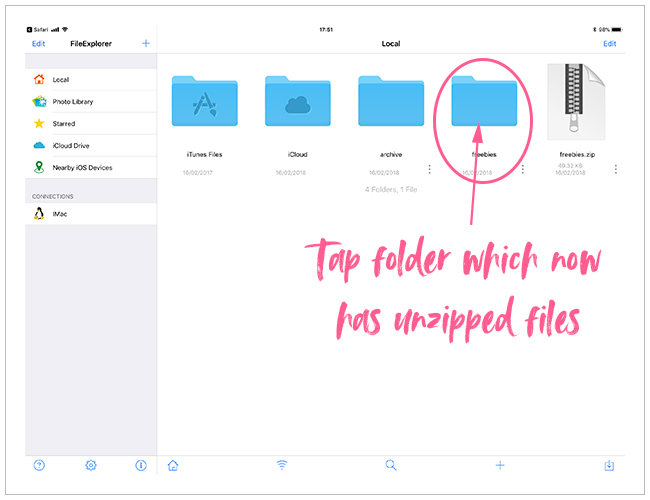 1) Install the "FileExplorer Free" app on your iPad. There are other apps that will work too, this is just one I have found that works and is free. 3) The website opens and you will see the product and a download link. Click on the filename to download it. 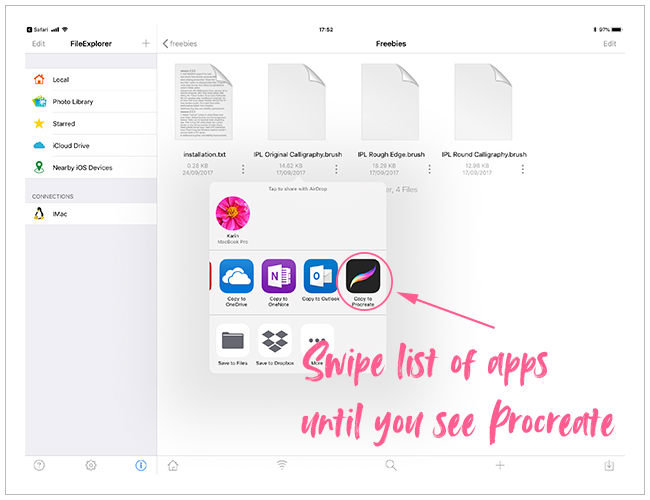 4) The file download starts as soon as you tap the link. Please be patient - this will take a while and it might seem as if nothing happens - but the file is definitely downloading! 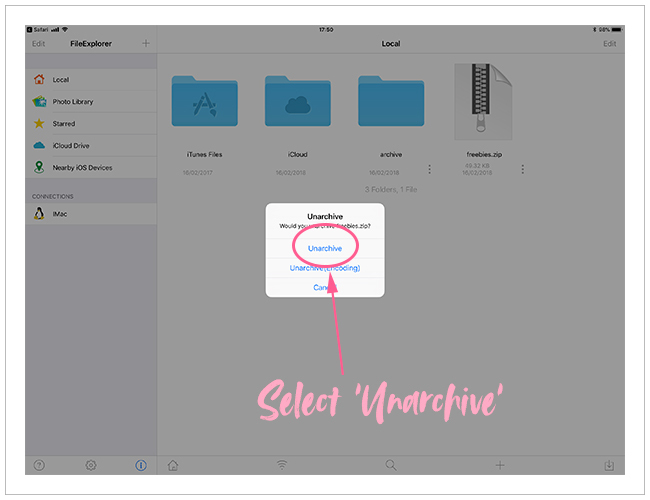 Once the file has been downloaded, you will see the following page. 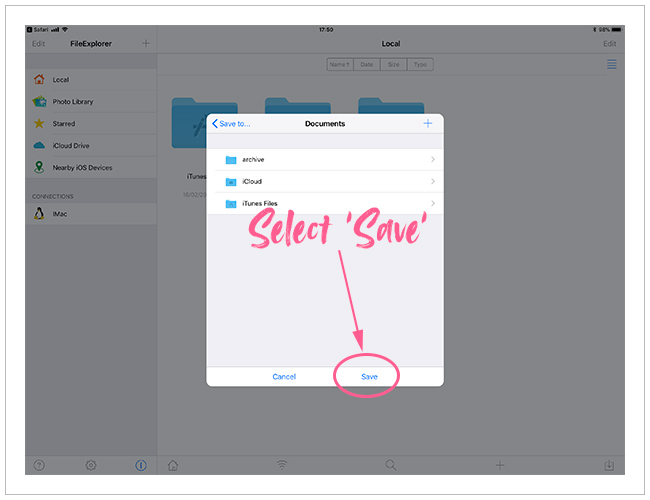 Select 'More..' to get a list of apps that can open the zip file. 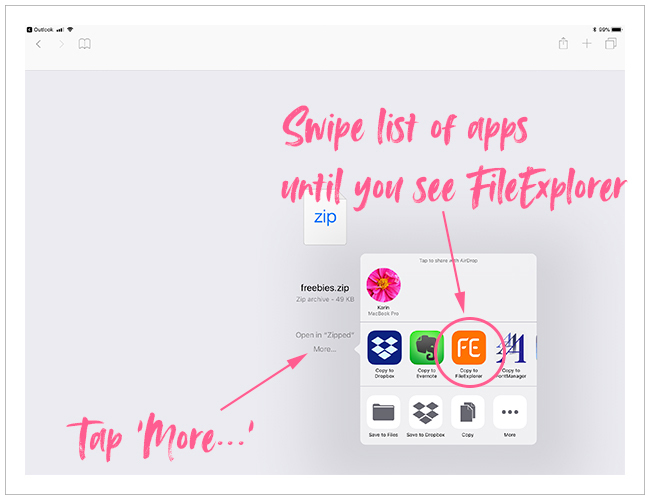 You might need to scroll until the FileExplorer app becomes visible. 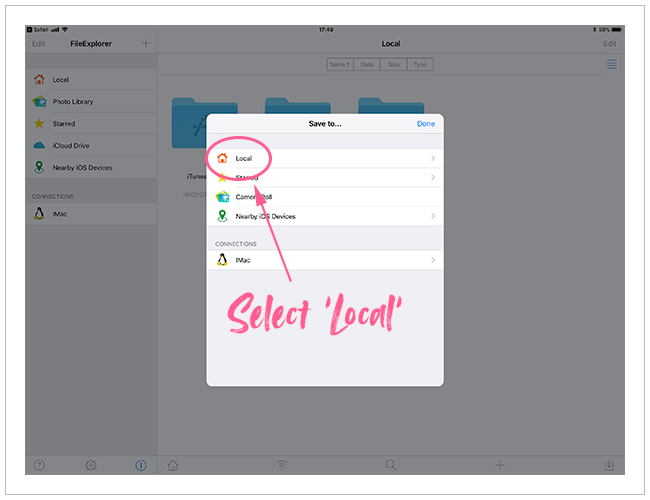 7) Your downloaded file should now be in the Local folder. 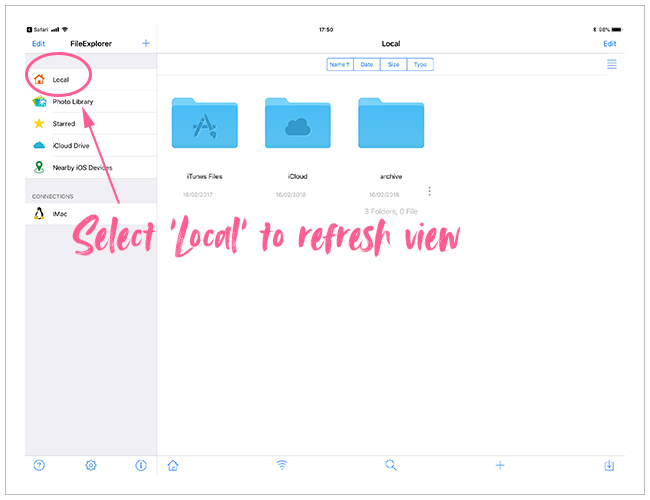 Select 'Local' to refresh the view. 11) In the next view, tap the folder with the same name. 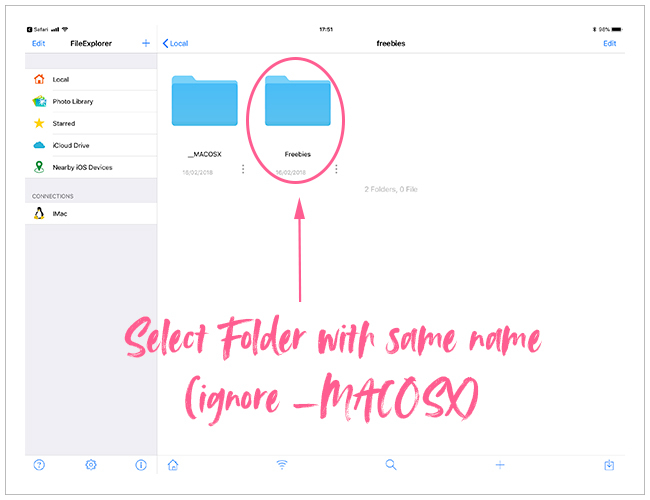 Ignore the _MACOSX folder, it's not needed. 12) And here are your brushes! 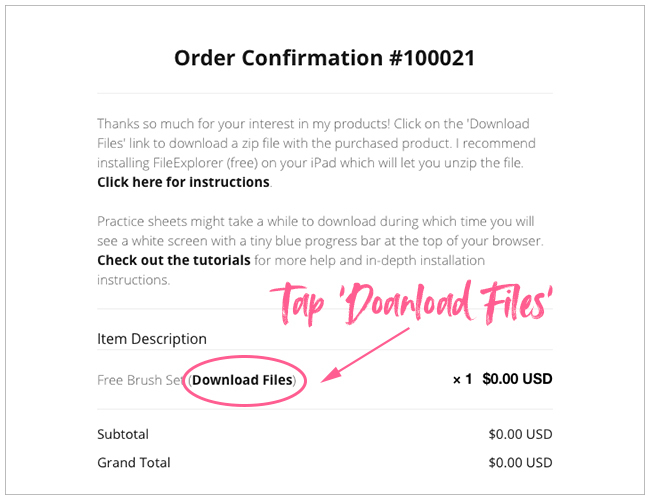 Tap on the first file thumbnail with the .brush file extension. You will see an Error dialog displayed - but don't worry! Select the 'Open In' option from the dialog. 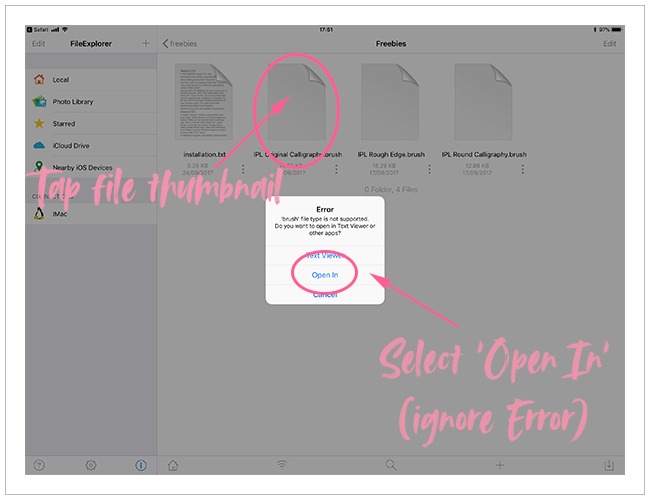 14) This will open the Procreate app and import the brush, although it is not obvious that it is doing that - so you just have to trust it! 16) This process works exactly the same for practice sheets too! The imported practice sheet will appear in your gallery.